SABnzbd Newsreader is a dynamic open-source Usenet browser that is built on Python. This browser can integrate with almost all popular apps on Usenet and it is also compatible with variety of devices and platforms. This is precisely the reason why SABnzbd is a popular choice and has been downloaded across the world over millions of times during the last few years. SABnzbd runs on Windows, MacOS, Linux. And also on Unix, BSD, certain NAS devices (Synology, QNAP). You can access SABnzbd from any device with a web browser, and also iOS / Android phones and tablets. SABnzbd installation is a piece of cake. It works across a range of platforms, from Windows to Mac OSX. All you have to do is hit the installation button and follow the step by step process. As mentioned above, the SABnzbd Newsreader installation process is extremely easy. First step is to select your preferred language, together with your desired file location. Once the program has been installed, next step is to click on SABnzbd's Newsreader desktop icon and launch the program in the web browser. Confirm your desired language one more time and then start the setup wizard. 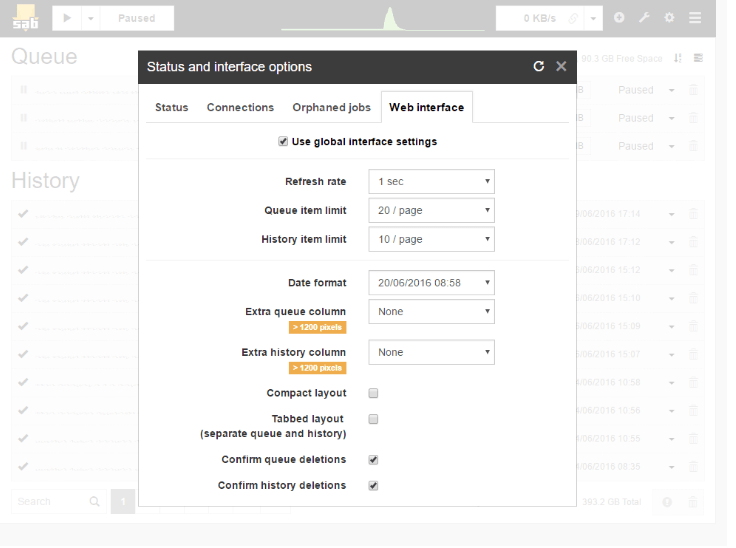 Enter the server details in the setup wizard, this is required in order to connect SABnszbd Newsreader to your Usenet provider. It asks for your host (i.e. news server address), your username and password. Enter the login information that you should have received via email from your Usenet provider.Usenet Review recommends UsenetServer , If you do not have login information, contact support. Hit the Test Server button. If the information you provided is correct, it will display the message “Connection Successful”. In case an error message appears, carefully check the details you have entered and make sure they are correct. Once the connection with your server has been created, move ahead and complete the installation through the Wizard. For Windows .exe installer is available, while for Mac OS, .dmg file can be added to your applications, and for Ubuntu Linux, Apt can be used to start the installation. If you want to upgrade SABnzbd Newsreader on any of the operating systems mentioned above, all you have to do is shut down SABnzbd Newsreader and start the re-installation. Below is a quick step by step building to downloading files using SABnzbd Newsreader. Select something that you want to download on your computer using the usenet indexer. Then download an NZB by describing the data. provide this NZB directly to SABnzbd Newsreader in the fastest possible way. How To Upload An NZB File To SABnzbd Newsreader? Upload your rar'ed, zipped or gzipped .nzb file from your hard drive on the index page of SABnzbd web interface. Open your uploaded files with SABnzbd. You can also automate and convert all your .nzb files to SABnzbd by going to Config -> Folders and setting the folder as “Watched”. You can also add files by using RSS. Set it up under Config -> RSS, which will enable SABnzbd to automatically download from RSS. You can also download files by using URL, all you have to do is enter the URL of the .nzb file you want to download. SABnzbd comes with plenty of options to tailor the program to your needs. All the configuration data is carefully stored in an INI file. You can find default locations for each of the operating system in the Folder Setup. SABnzbd uses existing utilities for extracting, repairing, and processing files as they download. Most of these utilities come with SABnzbd while others require installation. Python Cryptography is neither available, nor is it essential. It is only needed for inspection of the contents of RAR-files that are encrypted. When you want to download something from the web, you first need to have full access to either one or two Usenet servers. This server can also be the Usenet server of your own ISP, either a free public one or one of those commercial servers as well. No matter which server you use, you first need to mention its parameters. Assign the servers a priority, choose between 0 (i.e. the highest) and 99 (the lowest). SABnzbd will start by getting articles first from a group of servers that have the highest priority. In case the first server doesn't contain an article, another server will be tried. SABnzbd can notify you about job completion or condition of disk via email. Users can also send email through their SMTP server of their ISP. There is no need to set up a separate user account to communicate or send email. SABnzbd will use the SSL secured email when it is supported by mail server. With SABnzbd you can also restrict downloading and set specific time slots. SABnzbd allows users full freedom to specify the moments when it should PAUSE or RESUME, they can also set the speed limit or time that will automatically shut down SABnzbd. SABnzbd can also read RSS feeds that are provided by public RSS websites or indexers. These are the sites that offer you latest downloads or offer results based on your query. Each of these RSS feeds is first analysed using filters. A filter will generally look for a text pattern in the title of each entry. A filter automatically “matches” when the text that it contains is found in the title. SABnzbd is the easiest binary newsreader available absolutely free of cost. In this section, we discuss the key features of SABnzbd that have made this newsgroup downloader extremely popular across the world. SABnzbd runs on Linux, Windows, MacOS, BSD, Unix, as well as,certain NAS devices (including Synology and QNAP). Users can easily access SABnzbd from a variety of devices with a web browser, including Android phones, iOS devices, as well as, tablets. SABnzbd is easily accessible on mobile devices and it allows users to manage downloads from their iOS and Android devices. SABnzbd is now available in approximately 15 different languages, including, English, Deutsch, Español (castellano), Nederlands, Norsk bokmål, Dansk, Português Brasileiro, Français, Polski, Româna, русский язык, српски, 简体中文, Suomi, Svenska. 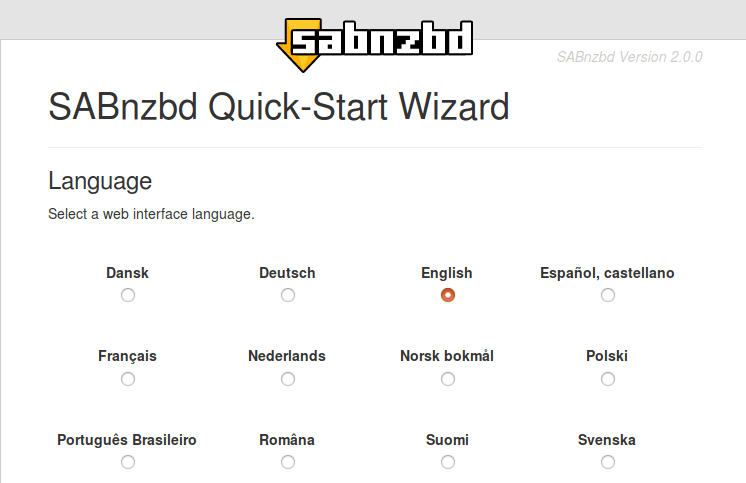 SABnzbd easily integrates with the most popular Usenet apps, such as, Sickbeard, Sonarr, CouchPotato, Headphones, Sickrage and more. By integrating with these apps, SABnzbd can automate the download process. It can also quickly read and process all RSS feeds, notify users via mail, prowl, growl, pushover or pushbullet, as well as, activate custom scripts. For over the last 3 decades, Usenet has been considered one the most preferred systems for sharing ideas between individuals and communities from all over the world. The platform has come a long way from what it had launched as in the 1980's and so have multiple programs that were built at the time to use it. The most successful program has been SABNzbd Newsreader. It has proved itself to be the ultimate “newsgrabber” for years, and has competed against great NZB site competitor. SABnzbd Newsreader is not just fast but it also comes in 15 different languages, It offers a greater degree of customization and users can easily run the downloader in the background. SABnzbd Newsreader is the better choice when it comes to choosing the best and most efficient open-source Usenet browser. The best feature of SABnzbd Newsreader is that it is compatible with a wide range of devices, as well as, a variety of operating systems and integrates most of the Usenet apps.